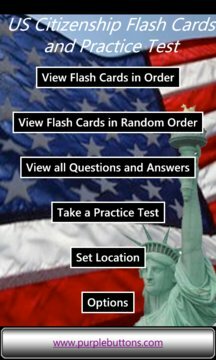 Use this free App on your phone to help study for the civics test that is part of the process you must go through in order to become a naturalized US Citizen. Features all the latest questions updated to reflect the most recent changes in US Government. 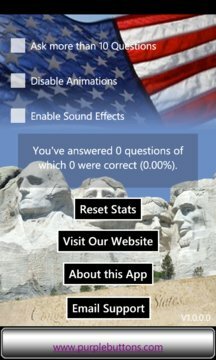 Set answers based on the location you'll take your test, updated to reflect the most recent changes to Governor, Senators and Representatives for each State and Territory. New for this update, choose which questions you need to focus on, and skip the easy ones you already know. Use a practice quiz feature to see if you're ready to answer the real questions.